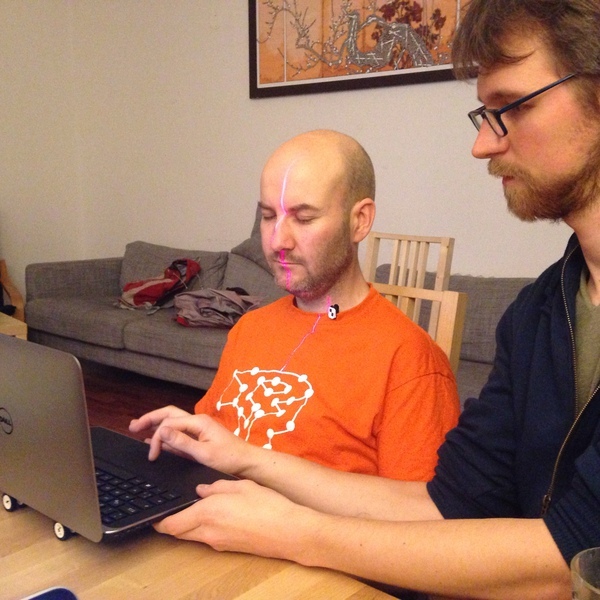 For those of you who feel my avatar isn’t enough, you can now enjoy viewing my face in glorious 3D 😀 I spent an evening hanging out with the Coding Amigo’s, a code hacking group in Berlin. One of the members, Marc, brought along his laptop, a laser and a sliding dolly made from old bits of his childhood Lego collection. 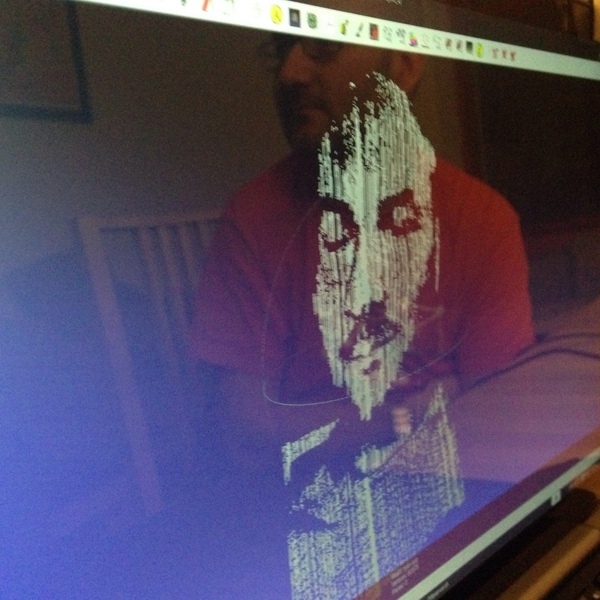 By shining the laser at my face, and rolling his computer along the desk with the webcam pointed at me, he was able to create a 3D view of my face as you can see below (rotate the image with your pointer). Marc has been documenting parts of the project at 16d.de/scanner. I never thought I’d see my face rendered in 3D like this. 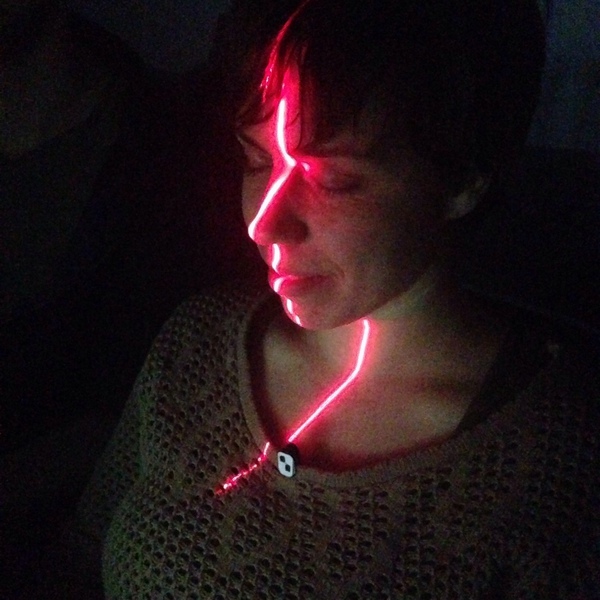 This is Coding Amigo Nina having her face scanned. 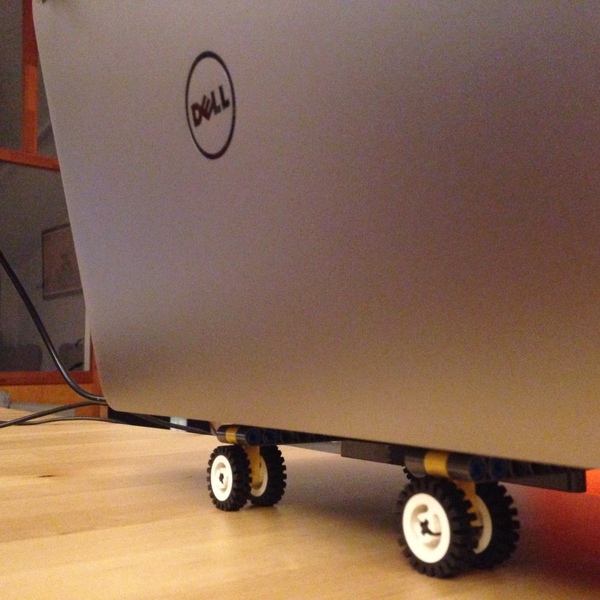 Marc built a rolling dolly out of old bits of his childhood Lego collection to handle moving the his computer (which also provided the web cam) and the laser. 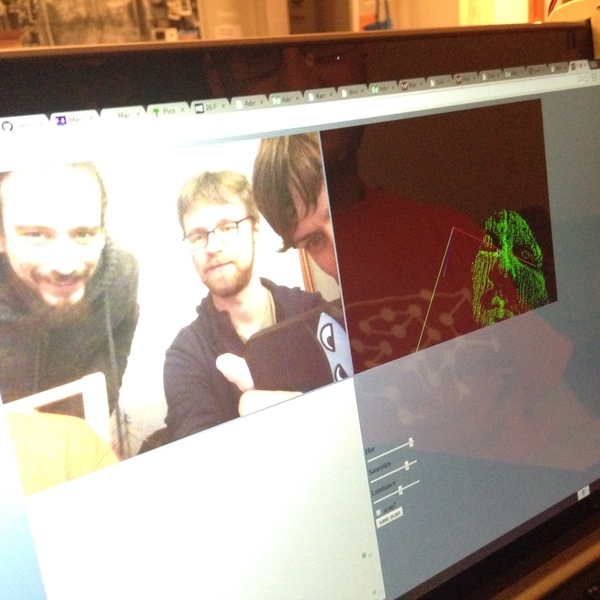 Coding Amigo’s, Alex, Marc and Nina admiring my face rendering. This is me during the rendering process. I was a little worried about having my eyeballs burned out by the laser so kept them closed the whole time. WOW! The 3D picture is sooooo cool! Have you tried the 123D Catch mobile app from Autodesk? It creates a 3D model of any object just from a few dozen photos. This made my inner geek happy!